The troubled cop with a mysterious past and a serious drinking/drug problem has become so commonplace in television shows and movies the character can be cliche. It takes a script of incredible quality and an exceptionally talented actor to make both the role and the program work. Audiences are no longer going to be satisfied with being shocked by the sight of a cop snorting cocaine; there has to be something more to the it than just his or her addictions or troubles. For those looking for that little bit extra, they need look no further than Falcon, a new release from Acorn Media. Each of the two DVDs in this set contains a full-length, 90-minute movie set in Seville Spain following Detective Jefe Javier Falcon (Marton Csokas) as he delves into two very delicate murder investigations. While Csokas’ character definitely has his problems (he buys mysterious packets of white powder in back alleys and ingests them by mixing their contents into glasses of water and drinking them down), the show doesn’t make a big deal out of his drug use. Normally a show will make it furtive and ugly, but here it’s all sort of matter of fact. He buys his drugs, goes home, mixes it up and drinks it down. We don’t have any idea when he started doing it, or even any indication as to why. We do know he’s had one failed marriage, but he’s an obviously well respected and appreciated police officer who seems to get on well with both his co-workers and his superiors. Even his relationship with his sister is perfectly normal and healthy. Then, while investigating the death of a wealthy restaurant owner in “The Blind Man of Seville,” he comes across a picture of his father among the dead man’s possessions. It turns out Falcon’s father is a famous painter whose works hang in one of the national galleries of Spain. Falcon lives in his father’s old house which also contains his father’s old studio and paintings never displayed. In his will he had asked Falcon to burn all of the paintings not in galleries. There was no explanation as to why, but Falcon still hasn’t carried out his father’s wishes even though he’s been dead for some time now. However, when the murderer kills the man who used to be his father’s agent, Falcon realizes he’s going to have start exploring family history to get to the bottom of the mystery. Complicating matters is the fact Falcon has started an affair with the widow of the first murder victim. Conseulo Jimenez (Hayley Atwell) was the man’s second and much younger wife and while a suspect at first she cleared when it became obvious the murders were rooted deeply in the past. Not only is she able to provide Falcon with comfort, but with clues as to what the mystery might be about. When a prostitute her husband frequented turns up dead posed in the same position as the model in Falcon’s father’s most famous series of paintings there can be no doubt the murders have something to do with Falcon’s own family. When the secret behind the murders is finally revealed it’s far more shocking than anything either we or Falcon could have expected. However, not only does it explain the nature of the murders and why the murdere did what he did, the secret also offers some explanation for Falcon’s behaviour. His addictions, his inability to form close relationships and his seeming indifference to other people’s feelings are all rooted in the events which culminated in the murders. The second episode, “The Silent and the Damned,” takes place three months later. Falcon has been off work since the conclusion of the previous case and still might not be fully recovered. 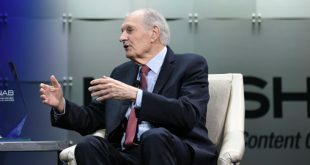 This doesn’t stop him from throwing himself enthusiastically into the investigation of what looks to be the suicide of a prominent businessman. However, there are those who don’t want him looking into it too closely, and pressure is brought on the commissioner of police to have replaced with someone easier to manipulate. His second in command, Jose Luis Ramirez (Charlie Creed-Miles) is put in charge of the investigation, while Falcon is told to look into the death of a vagrant found under a bridge. Ramirez is considered malleable as his youngest daughter is ill and he can’t afford to lose his job as he needs every cent he can make for her treatment. However, this doesn’t stop him from realizing something is being covered up, especially when Falcon discovers a connection between the body of the supposed vagrant and the man who committed suicide. 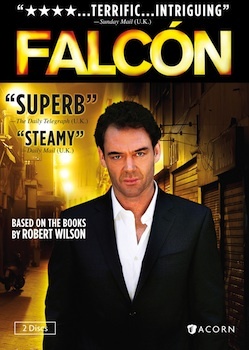 As the two men carefully dig deeper into the mess, with Falcon doing his best to shield his junior’s involvement in order to protect his career, they discover layers upon layers of corruption designed to cover up the perversions of important members of the business community and government. The two feature-length episodes included in Falcon are much more than your typical television murder mystery or police procedural. While they contain all the elements common to detective shows as the cops do their best to solve murders, they are also character studies of the finest quality. In particular the character of Falcon is far more complex and interesting than almost any other police detective you’ll see on television. As the troubled detective Csokas gives a magnificent and subtle performance. Somehow he’s able to convey the emotional turmoil broiling beneath the controlled surface Falcon presents to his co-workers and others only occasionally allowing anything resembling an emotional reaction to show through. Even when something pushes up through the cracks, be it anger or anguish, he suppresses it as quickly as it surfaced. With so much time spent alone with Falcon, or while he’s working, we only realize how different he is from others when he is taken out of his usual context. Watching him visit with Ramirez at home and seeing the contrast between Falcon’s isolation and Ramirez’s bustling family life is out first indication of how much he has cut himself off from the world. However, it’s only when he visits with Jimenez at home with her two boys, we see how frightened he is of feeling anything at all. He can’t even allow himself to stay and enjoy the glimpse of normalcy sitting down to a family dinner would offer and flees instead of joining them. He literally staggers as he walks away from her house he’s so overwhelmed by the fear of letting down his barriers, the fear of letting anyone in and the fear of someone actually getting to know him. He wears his guilt and self-loathing like a shroud. Consumed by his own demons, he can’t for the life of him see anyway out or any hope for salvation. Walking the winding, ancient, streets of Seville at night, Falcon seems to be trying to find his way out of a maze which has no beginning or end. Solving murders seems to be almost a form of atonement for whatever it is he thinks he might have done. The wonderful thing about modern technology is now even at home we can appreciate the production values of movies in ways we were never able to before. In the case of Falcon, having a wide screen television allows the viewer to appreciate the amazing cinematography which turns Seville into more than just the backdrop for the shows. Almost a character in itself the city sometimes appears to have a life of her own separate from those who walk her avenues. Streets dating back to when the city was part of the Ottoman Empire, barely wide enough for a donkey cart, and the crumbling facades of buildings whose mortar has been baked by the centuries of sun contrast with modern freeways and apartment blocks. The 16:9 widescreen presentation of the DVD only makes the visual impact of the two features all the more stunning. Those with home theatres will find this plus the 5.1 surround sound make it easy to forget either of these productions were made for television. Included in the package are three short bonus features. While the first is your basic, behind the scenes type thing, the second and third which look at the characters of Falcon and Seville respectively are definitely worth watching. The nine minute trip through the streets of Seville will make you wish you could find your way over there and wander them yourself, but also helps put Falcon’s world into perspective. The two features contained in the DVD set Falcon are far more sophisticated and accomplished than most police procedurals made for television. At 90 minutes each, The Blind Man of Seville and The Silent and the Damned are able to not only allow their respective stories to unfold at a far slower pace than usual for television detective stories, but give us the opportunity to become for more intimate with the lead characters. In fact, the quality of acting, the artistry of the camera work and the intelligence of the script make both features superior to most of what you’ll see in the cinema let alone television. Surprised that it’s not mentioned how distracting it is that this supposedly takes place in Seville, yet the actors all speak with British accents (with the male cop he works with sounding down right Cockney). Even if produced by Brits, it seems silly and out of place.